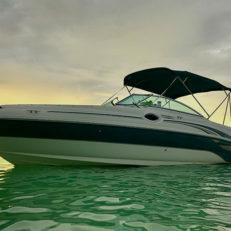 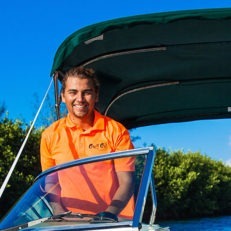 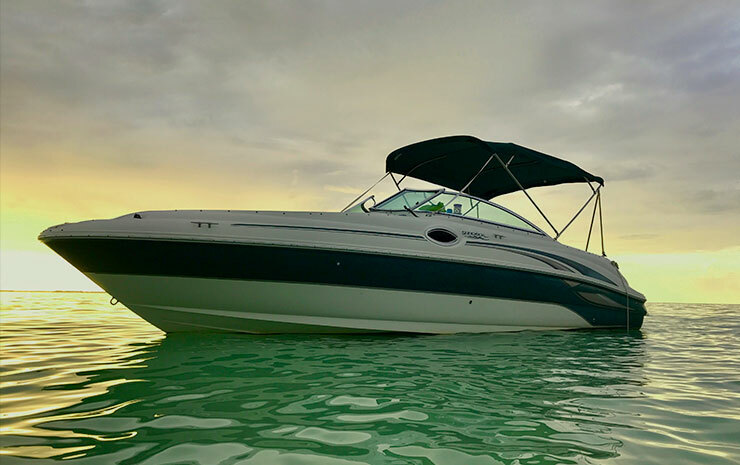 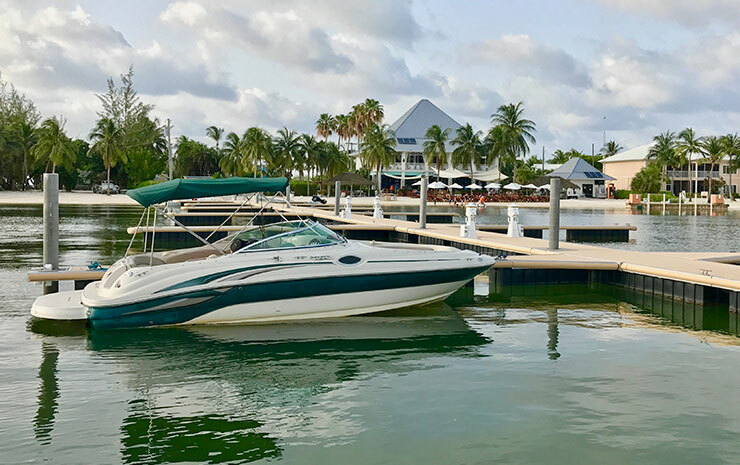 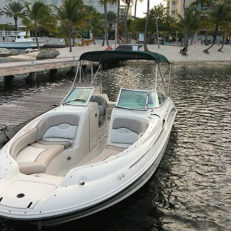 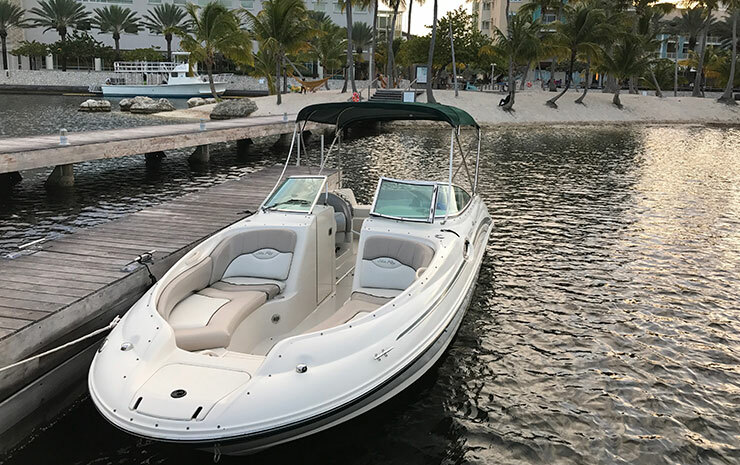 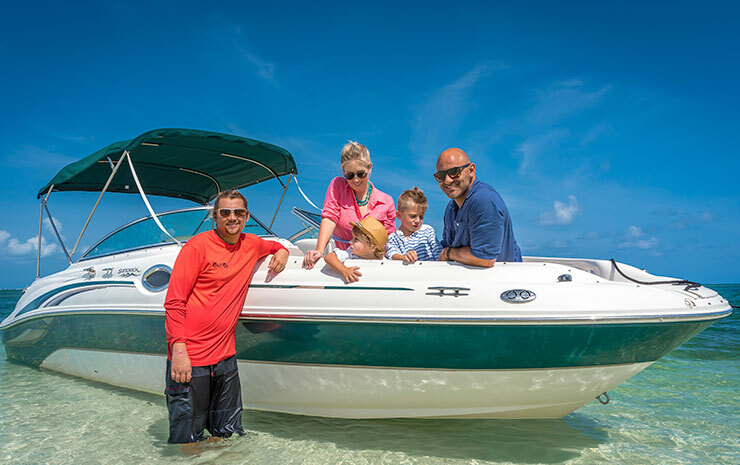 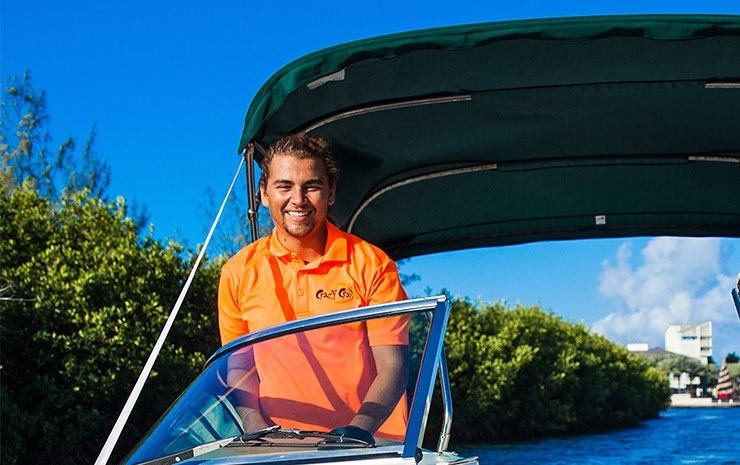 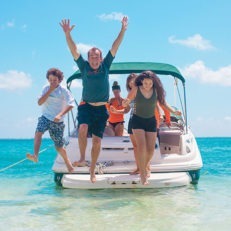 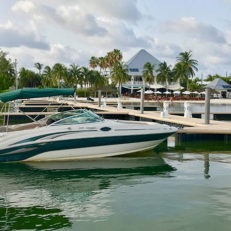 Built for fun and performance, Sea Bug, our 24 foot Sea Ray Sundeck is the perfect small group boat, nimble enough to slip into the special fun spots. 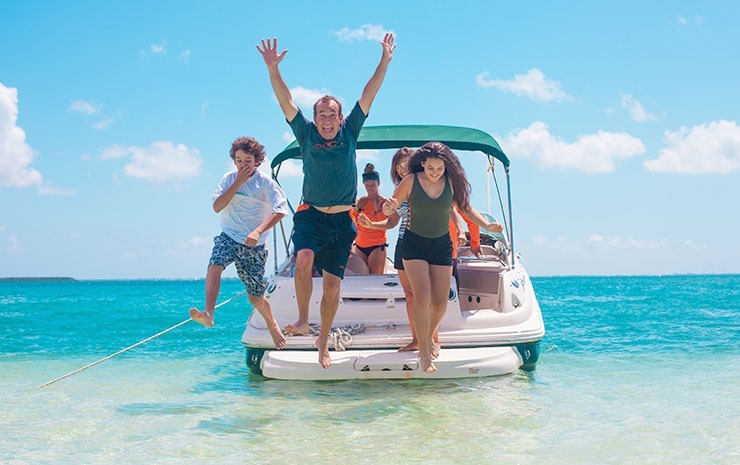 Enjoy the convenience of a wide swim platform, full-length lounge seats on the bow, onboard toilet and fresh water showers. 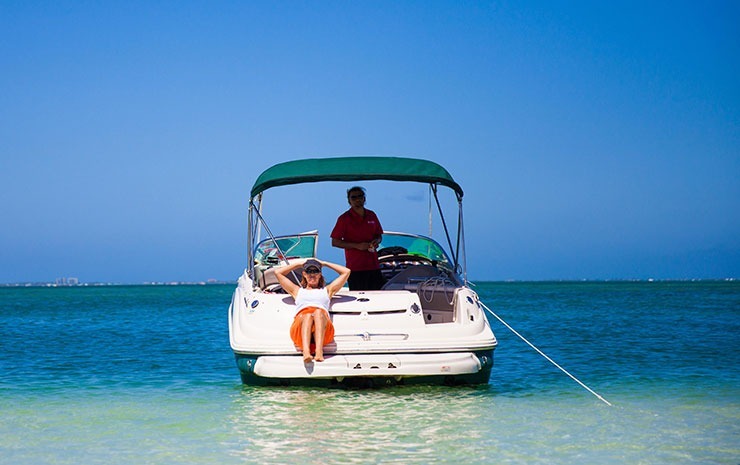 And when you want a break from the sun, the bimini top provides plenty of shade. 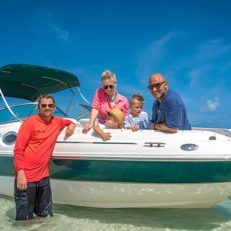 Accommodating up to six adult guests, Sea Bug has seating for up to six guests on the uncovered sun deck and up to five under the bimini shade.